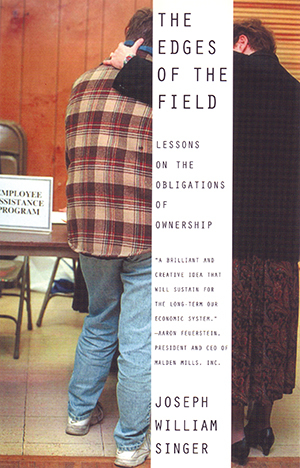 In The Edges of the Field Harvard law professor Joseph William Singer offers a brilliant and cogent look at America’s complex relation to property and ownership. Incorporating examples as far-reaching as the experience of Malden Mills owner and Polartec manufacturer Aaron Feuerstein, the Torah, and the musical Rent, Singer reminds us that ownership is a curious blend of security and vulnerability between owner and nonowner. He proposes that the manner in which property shapes social relations of power is as important as ownership rights. “A brilliant and creative idea that will sustain for the long-term our economic system.” —Aaron Feuerstein, president and CEO of Malden Mills, Inc.